Scribus is a Desktop Publishing (DTP) application which lets you create professional page layouts for PDF (Portable Document Format) files. It is completely free - no trial period and no adverts - and distributed under the GNU GPL license. With Scribus you can create brochures, posters, booklets, books, magazines, and any other type of document that you plan to print or make available electronically. It has a feature-rich interface that lets you create professional-quality output with print functionality that includes support for CMYK and spot colors, color separation, ICC profiles, and printer marks. Scribus has three major strengths: fast creation; easy organization; and simple production. 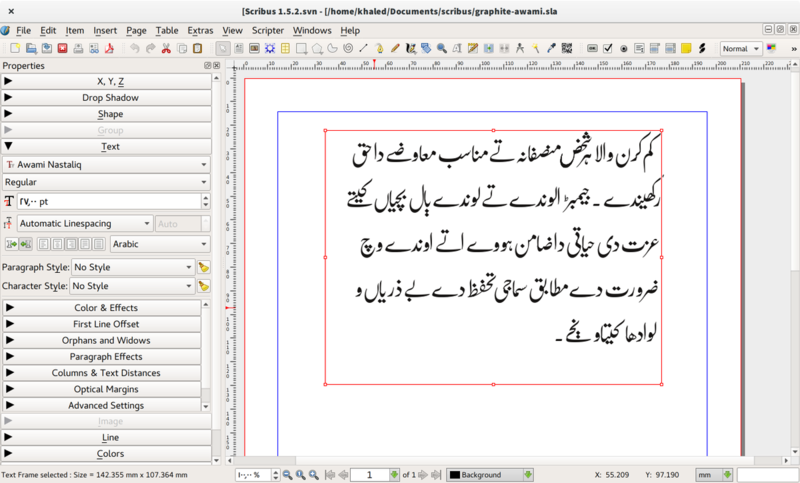 A particularly great feature of Scribus is the flexibilty you have when you are creating your documents. From a design perspective, this is a big advantage since, in a short amount of time, you can experiment with a variety of graphical and typographic options including: fonts; colors; shading; transparency; visual effects; typographic parameters; position and rotation of the elements. These options are easily accessible and intuitive. Don't just stare at a blank page, let Scribus help you bring it to life. Stickers - Collect Them All? CDs - Make Your Music Rock! Graphic novels, advertisements, comics, whatever you need to make. If you want people to read it, Scribus can help to make that happen. [17 May 2016] The Scribus Team is very pleased to announce the release of the development version Scribus 1.5.2, which is another major step onto the next fully-featured version 1.6.0. In terms of stability, 1.5.2 can be already be regarded as robust.